Thread: Best Mechanical Disc Upgrade? I've got a bike with Tektro IO mechanical disc brakes and I want to upgrade with better mechanicals. So far, the best mechanical reviews I've read are for BB7s. Can I use the stock levers that came on the bike for the BB7 calipers or do they have to be Avid levers? Great stopping power, and couldn't be easier to adjust. I'm using Shimano levers, and they work just fine. As long as they're long pull, you should be fine. You can use the Tektro's but as cheap as the Speed Dial 7 levers are you might as well upgrade to those with some fresh nice cable, completely overhaul your brake system for around $120. To your original question, best mech discs = BB7s. Can you use your original levers, hell yes. They will work, but they might not be as good as another bit more expensive pair. Biggest thing about setting up mech discs though is good housing and setting the pads up right. Watch the BB7 install video on SRAMs You Tube channel. Your current levers work as stated and you have a bunch of options for those down the road. Also, cables make a huge difference. I am currently running Gore cables and they are super smooth. But they do weigh a little bit. If you are going to upgrade your cables and spend the money to do so, then order a set of Alligator i-link cables. They are just as smooth and probably weigh half as much. I just ordered a set and am awaiting arrival. Another vote for BB7s. Converted an old HT to SS, did some hub/rim upgrades and removed the front V-brake and replaced it with the BB7 which has worked out great. and get some rotors too ! How do you like those rotors? I was looking into those for the future, but very expensive! well, they're rotors! - they work . BB7's for sure. I have the regular Avid levers and they work great, but the Speed Dial's are pretty cheap. Replace cables and housing too. Depends on the setup. My BB7s are quiet 99% of the time on all of my bikes. Commuting in the rain, however..........they can wake up the dead on the other side of the planet. Mine are mostly silent in the rain, too. Ditch the Avid brand pads for EBC Gold. They will be quieter with organic pads. Sintered pads will tend to squeal more, but last longer. I switched to organic and will stay with them. Props + to Shiggy for the EBC Gold pads suggestion. Did that a couple years back. Best pad for the BB7 I've ever used. 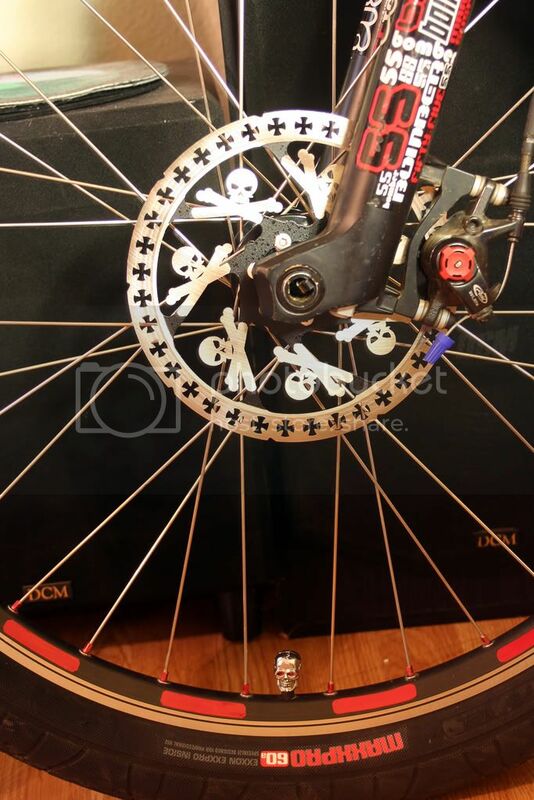 2010 BB7's are on sale on Jenson right now, $51 per w/160mm rotors. They're ~10% cheaper on ebay. BB7s! But be careful you order the mountain version. There is a BB7 road verison that you want to avoid. Try a 160 up front, later you can buy 185 and move 16o to the back.